The emerging field of biosensors based on two-dimensional (2D) materials offers a pathway to new opportunities in interrogation of biomarker biomolecules, highlighting next-generation tools for point-of-care diagnostic, healthcare, and environmental monitoring. My talk will focus on the unique transduction properties of 2D materials and the downstream biomolecular sensing applications with unprecedented high sensitivity and efficiency in power, size, and cost. I will discuss the self-transducibility of 2D materials at the interface to biofluids, the methodologies I developed to fabricate, functionalize, and implement small-scale 2D-based biosensing devices, and label-free detection of various biomarkers (nucleic acid oligomers, proteinaceous antigens, opioid-neuropeptides, pH) with high sensitivity, e.g. attomolar for DNA, by using the devices. I will conclude by introducing a handheld multiplexed water-quality monitoring robot enabled by graphene aptasensors. Dr. Jinglei Ping received B.S. from Sun Yat-sen University and Ph.D. from the University of Maryland–College Park. He was an occupational trainee in Monash University in 2013. Dr. Ping joined the Department of Mechanical and Industrial Engineering at UMass Amherst in 2018 after a research associate stint at the University of Pennsylvania. 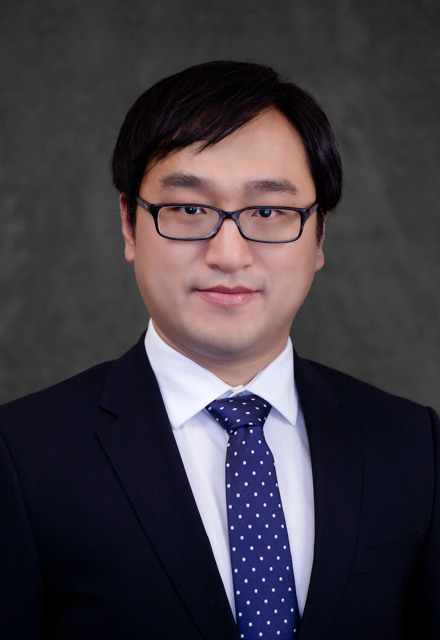 Dr. Ping’s research focuses on translational biosensing devices/systems based on 2D materials.